Amateur Hour My Oh Mai Tai! The mai tai cocktail gained popularity in the 50s and 60s as with the raise of tiki-themed restaurants (“maita’i” is the Tahitian word for “good”), but the true origin of the mai tai is a little hazy, since two bartenders claim to be the inventor. 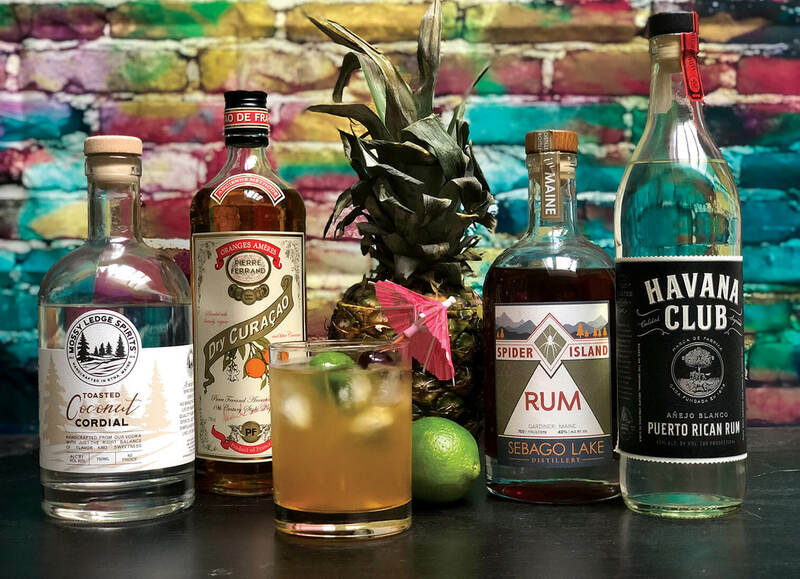 Victor J. Bergeron claims to have made it in 1944 at his restaurant Trader Vic’s, while Ernest Beaumont-Gantt, a.k.a “Don the Beachcomber,” claims to have created it in 1933 at his bar named after himself, albeit a version more complex. While there is some overlap between the two recipes (rum, curaçao, lime juice), they taste distinctly different. 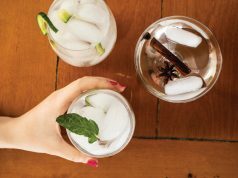 And because one of my favorite things is to take a tried-and-true, century-old cocktail and give it a modern Maine update, I’ve done just that with this spin on the mai tai. For this recipe, I use the older and complex Don the Beachcomber version as my jumping-off point. 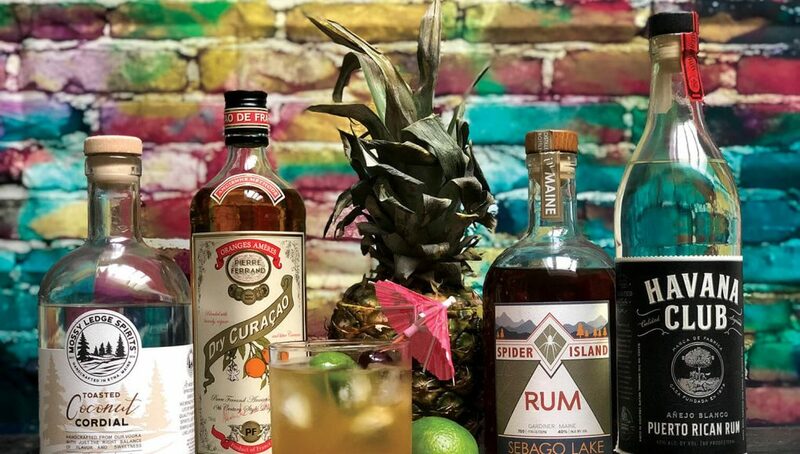 I didn’t want to rely heavily on the curaçao, as both mai tai creators make such a big deal about the importance of where the curaçao comes from and what oranges are used—and both landed on conflicting conclusions. Screw it, I found some deliciousness with Toasted Coconut Cordial, a liqueur by Mossy Ledge Spirits, a new distillery out of Etna. This gives the mai tai some added sweetness without overwhelming it. I also decided to mix in some Spider Island Rum, a dark rum put out by Sebago Lake Distillery. There were a lot to choose from when it came to Maine-made white and dark rums. To keep the mai tai complicated, I kept the Angostura bitters, like Don would have liked. Fill a rocks glass or a tiki vessel with ice. In a shaker, fill with ice, dark rum, white rum, curaçao, coconut cordial, lime juice and angostura bitters. Shake and strain into glass. Garnish with pineapple, cherries, a lime, basically any fruit you got, just put it on there because you should eat more fruit.